CHERTSEY, UK - December 18, 2007 – Electronic Arts today revealed it is developing Tiberium™, a new game that brings a rich, original fiction to life through intense tactical action and visceral first-person shooting. Set in a stunning sci-fi world with spectacular visual effects and dramatic environments, Tiberium takes players on an adventure through a devastated Earth and places them in the heart of an epic battle for control of a powerful energy source. Tiberium is a mysterious extraterrestrial crystal that shatters the energy output of traditional fossil fuels. It has the power to save our civilization; it also has the power to destroy it. For eleven years, an alien tower has stood dormant, looming like an unholy mountain over a wasteland once known as the Mediterranean Sea. The tower was thought to be a relic of the Third Tiberium War; a devastating war fought for control over Tiberium crystal. It is not a relic. It is not dormant. Deep within the tower, plans are in motion for an alien invasion. This is where the Tiberium adventure begins. Players step into the shoes of Forward Battle Commander Ricardo Vega and will assemble an assortment of elite squads to combat the global crisis. Armed with an arsenal of weapons including a transforming personal weapon system, multi-launch homing missiles, capital ship bombardments and tactical ion cannon strikes, Vega will lead the fight from the front lines. Featuring a unique blend of first-person shooting and tactical squad combat, players will control multiple infantry, armour, and air squads as the fight escalates. In Tiberium, Vega is the most powerful presence on the battlefield, and the squads are his most decisive weapon. Players can take multi-squad control combat into single-player or bring the action into online multiplayer battles. 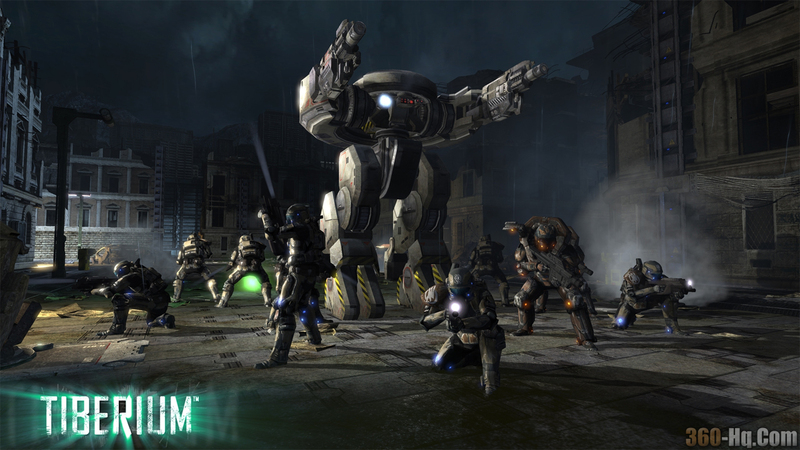 Developed at EA Los Angeles, Tiberium will be available worldwide in autumn 2008 for the PLAYSTATION®3 computer entertainment system, Xbox 360™ video game and entertainment system, and PC. The game has not yet been rated by PEGI. 360-Hq Game Database: Command & Conquer: Tiberium Wars"